Rob (Taps) and myself Tony (maddoldbugger) have been posting for years on many forums, we where bought together by our common interests in the sierra car ranges. 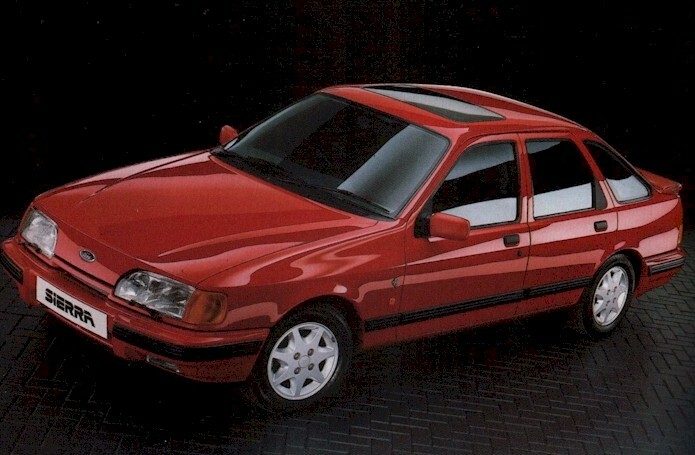 While most forums on the net are either XR's, RS's or Sierra's, there seems to be a constant quest for information on various parts of the sierra, there also seems to be a lack of information on tuning most ford engines. We see this site being of use to anyone with a ford engine, not only the ford range but kit cars, TVR's, Morgans and Dax, what ever the car, if it has a ford engine, we hope this site should be of interst to you. On 4th November 2005 we started a small BB on ecoboard, within a few weeks the numbers joining and the limitations of this site became a barrier and at this point the BB became big enough to attract sponsorship from BuyTeng. After some discusions on the 1st December we set about setting up this site and transfering all the data across, tho at the time we had to ask members to sign up again, Due to software issues and server problems our work load was very high and in July 2008 taps decieded to leave this site and I now run it with help from admin/mods. All through this we have grown our membership at a good rate. December 2008, we found our server was problematic and so we changed to a new server and you are on this server now! Due to the amount of spammers trying to register on to the site members validating is in force, this means that your account will not become active until passed by Admin. While this is being done you will be able to see and read some forums on this site however only once validated will the whole site be open to you. Please post a thread in the welcome section to say hello, any accounts over 6 months old with zero posts risk being deleted. Right been running a little while now with no probs with posts/members etc and hope it continues this way, be nice to have a BB with no hassle, but ya never Know so a few BB rules. We will not accept slagging of or bad mouthing, expect some form of action if you do so! If admin/mods contact you, they will explain the situation, they will explain the reasons any actions where taken and why! We will take actions if we see it fit to do so. Do not argue with admin/mods, WE HAVE THE RIGHT TO BAN YOU! Take the piss out of Admin/Mods. Penalty: INSTANT BAN! We are all adults here, please act like one and we should all get along fine. As it will be a group decision any moderation will appear in threads under user name "fordpower.org.uk" , admin/mods will not be drawn into any arguments over such decisions. We do not mind if traders wish to add there business card as there siggy, this we see as free advertising and a benifit. we have decided this is acceptable as long as everyone acts accordingly and does not push there business other than in the business card or a mention in the odd post. again dont take the piss!!! You need to own, co-own or at least hold a reasonable position in the company. We will require at least 3 months membership with no problems and a reasonable amount of posts to act as a guide to peoples conduct. we are flexable so you could also ask us! Re: www.fordpower.org.uk a history of this site. To update this Tony (maddoldbugger) due to other commitments handed over the daily control of this site to the mods & admin of this site. Please do not contact Tony for site related issues. At this stage it should be pointed out that Olaf (fordrwd4ever) looks after the bare bones of the site as in the server & the costs incurred. Any donations towards these costs go direct to Olaf. By clicking the donate button at the top of the screen you can help towards these costs. Thankyou. If you have any issues concerning this site then please contact any of the mods or admin members on here who will do their best to sort out whatever the problem is related to this site. We aim to run this site just as before. “A source where people can share information, advice & knowledge regarding mainly Ford stuff” is still the core goal of this site! Please remember no one makes money out of this site, we all have to work for living, so please give us time to respond in our free time.